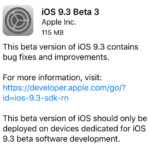 Apple Today released an updated version of iOS 9.3.2. 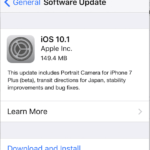 This is the release version of iOS 9.3.2 for iPad, iPhone, and iPod touch. 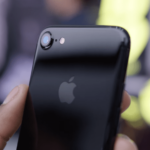 The most significant issue addressed by this update is around the Bluetooth problem that iPhoneSE owners were experiencing. For folks that were having audio quality issues with their Bluetooth headphone sets on the iPhone SE, this update will resolve this issue. Other issues pertain to some performance improvement related issues. Apart from the bug fixes, the release also enables the feature of combining night shift with low power mode. You can now use the Night Shift with low power mode. This is the third beta for public beta testers. 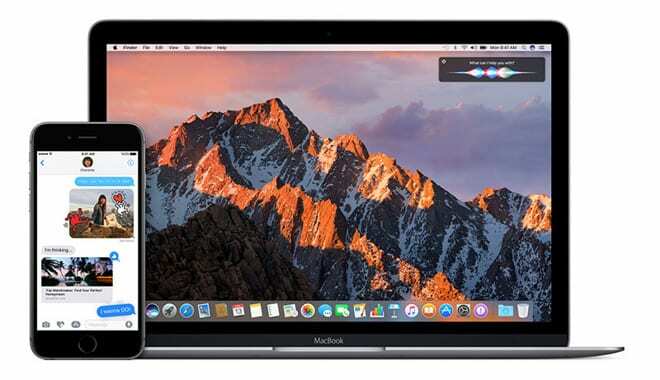 If you would like to participate in Apple’s beta testing program can sign up through the beta testing website, which gives users access to both iOS and OS X betas. Please remember that Devices updated to iOS 9.3.2 cannot be restored to earlier versions of iOS. 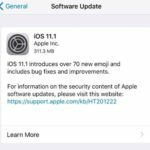 Apple also released minimal updates for its other iOS-based platforms, the Apple Watch and the fourth-generation Apple TV. 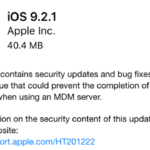 The release notes for watchOS 2.2.1 and tvOS 9.2.1 address bug fixes and security patches.